The D2 is a pilot watch designed to help you in-flight, boasting a high-sensitivity WAAS GPS receiver, altimeter with adjustable baro setting, and 3-axis compass. The Eversweet Handheld Travel Waterer is an antibacterial handheld watering trough with an integrated bottle and a replaceable filter so you can keep your dog hydrated and healthy as well. 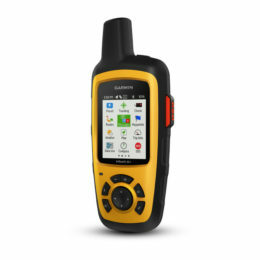 The Garmin inReach SE+ allows you to connect when other communication mediums fail so you can keep in touch and safe on a global scope. The Pathfinder Pro is a fully approved Search and Rescue Transponder (SART) that complies with IMO SOLAS regulations and greatly increases the likelihood of a successful rescue with top-notch performance. The Firefly Pro Waterbug is a SOLAS-approved strobe light with a built-in water activation, which automatically activates once submerged which makes it perfect for an emergency beacon.